Largest by revenue, APPS West is the freight forwarder of the APPS Transport Group. APPS West is your conveyor belt to western Canada. With five new terminals in the major centers, APPS provides seamless LTL and FL service from anywhere in eastern Canada. Major retailers, CPG firms, wholesalers and commercial/industrial suppliers rely on APPS West for consistent and careful service. 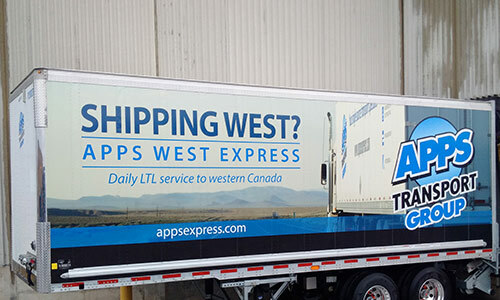 APPS West moves over 10 million pounds of freight to Western Canada every week!